Tabula Frisiae, Groningae et Territorii Emdenissi nee non circumjacentium Regiomum puta Transisalanie Bentbemiae, Westfaliae et Oldenburgi. 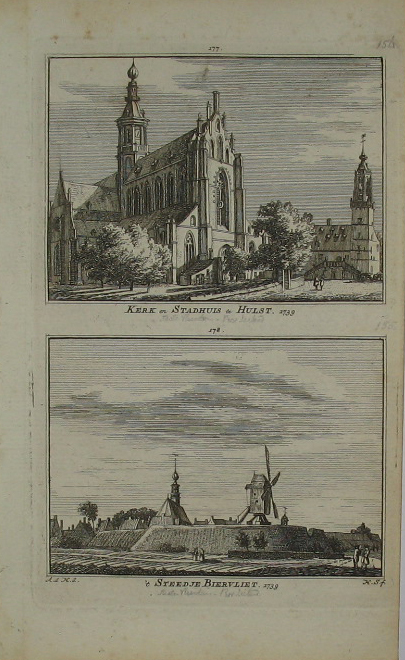 Ex officinal N: Visscher. 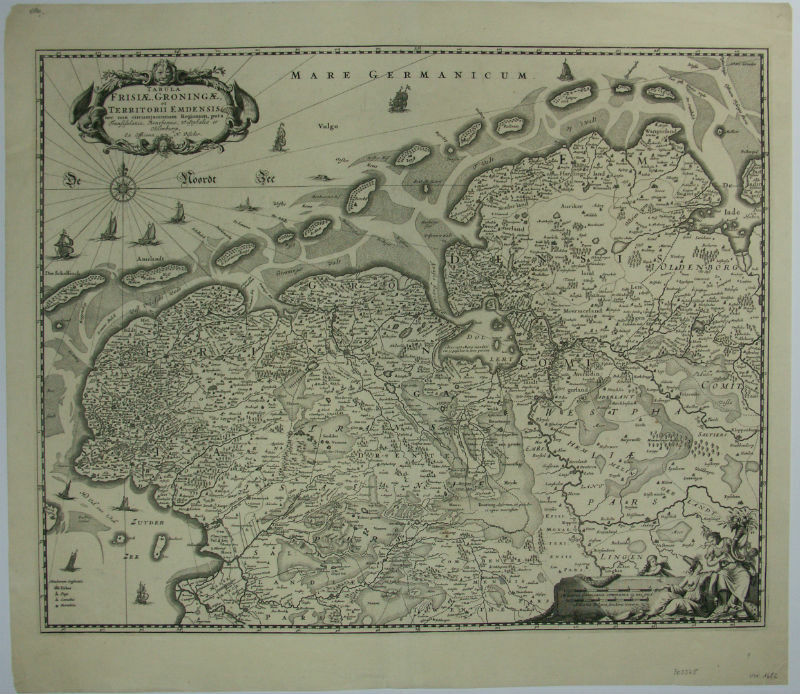 Nicolas Visscher used the plate of Claes Jan Visscher for this beautiful map of Friesland, Groningen and Ostfriesland. A nice strong imprint with blank verso.